Reoccurring dull pain? Often the pain will subside after some rest or icing. But with more serious injuries, symptoms will repeatedly come back and linger until the underlying injury has been addressed. Physical therapy maybe be able to help. Call today to setup a appointment. Dry Needling is a skilled intervention used by a chiropractor or physical therapist and performed using a thin filiform needle to penetrate the skin and stimulate underlying myofascial trigger points, musculature, and connective tissues for the management of neuromusculoskeletal pain and movement impairments. Acupuncture is an eastern medical practice which has its origins in ancient China. It utilizes restoration of natural energy sources via the stimulation of specific meridian points with a needling. Dry needling is similar to Acupuncture only by the use of an acupuncture needle. With Dry Needling the physical therapist treats specific “trigger points” in the affected muscle which are believed to be the cause of a local or referring pain. By treating the trigger point with a thin needle the idea is to resolve the negative issues in the muscle by eliminating the tender location (trigger point). Muscles which contain active and latent trigger points exhibit increased soreness, tightness, pain, fatigue, and decreased efficiency. What can I expect after a session of dry needling? 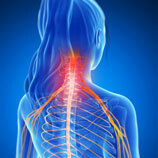 You may feel sore in the area which the dry needling therapy was performed for one to two days. 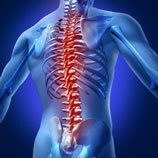 You can help decrease any post treatment soreness with continued movement and stretching of the location of treatment. Dry Needling is a technique used to treat dysfunctions in the skeletal muscle, fascia, and connective tissue, diminish persistent peripheral pain input signals, and reduce or restore impairments of body structure and function leading to improved activity and participation. If you know of locations on your body which are sore and tender to palpation you may benefit from dry needling. An evaluation by a trained physical therapist is the best way to know if Dry Needling is right for you! 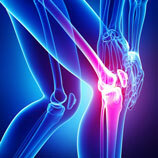 Our clinic offers Dry Needling in conjunction with other physical therapy treatments and techniques. It is an out of pocket payment system. All sessions are $30 apiece. Treatment duration can be as little as one session and up to three or four. A few days after the treatment we will perform a reevaluation to decide if the trigger points have resolved or if further treatment is warranted. With each dry needling treatment we will want to have some improvement.